Tracking the heart rate is a good way to measure fitness level and what level of intensity you need to have to reach the goal. It is a fact that most of the people have a fitness goal and to help them reach their goal within a scheduled time, they need a tracker that keeps a tab on all day activities. The Fitbit charge 3 was one of the much-awaited products people want to have as soon as available. It was on a presale till October 2018, fitness enthusiasts were placing their orders on the official site to get it as soon as the company launches it. But from October, the Fitbit charge 3 is available for everyone. You can place your order on the official site or on Amazon. It is also available on any other sites and it’s completely up to you to buy from any trusted site. 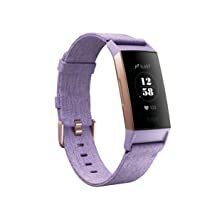 The current price of the Fitbit charge 3 is $$$, which is not too much considering its features. It is available in 4 colors; graphite/black, rose gold/blue grey, white, and lavender. The price of white and lavender color is a bit higher as compared to the graphite/black and rose gold/blue grey. One of the best things about the Fitbit Charge 3 fitness tracker is its design. 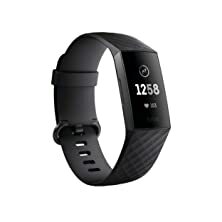 All the fitness enthusiasts know that they need to wear the watch all day to track their activities, hence, they always in search of a fitness tracker that is lightweight and can be worn all day without any marks on the wrist. The charge 3 is popular among the fitness fanatics for many reasons (will be discussed below) and one of them is lightweight design. A classy looking fitness tracker keeps the style quotient up. Charge 3 has a sleek design and looks good on your wrist, so you can wear it where ever you go, be it office or a picnic. There are many heart rate trackers on the market, but hardly few of them are water-proof. Even Charge 3 predecessor charge 2 is not good for swimming. Charge 3, being an advanced and upgraded product of Fitbit is waterproof as well as swim-proof up to 50 meters. This feature is really important for all the people who like swimming and want to track this activity along with other activities. Many Fitbit trackers are not swim-proof that’s the reason they make their latest product have this feature. As I mentioned above, it is a modern era where everything is upgraded and made with advanced technology to provide comfort to the user. It is the era of touchscreen and people like to have everything on their fingers, nobody likes the hassle of pressing buttons. Same goes for the heart rate trackers. When people have to pick from one between a touchscreen-based tracker and button-based tracker, they definitely pick the one with a touchscreen. Charge 3 offers a touchscreen with gorilla glass. You can easily adjust the settings with a touch screen and seamlessly use its features. Being a heart rate tracker charge 3 does its work really well and that’s the reason it received a tag of the bestseller product on Amazon. It measures continuous heart rate and keeps a tab on steps, distance, active, minutes, calories burned, floors climbed, swimming, resting heart rate, and many more. Charge 3 basically tracks your heart rate 24/7. It is one of the efficient heart fitness trackers popular among the fitness fanatics. Because of all these, charge 3 gained popularity in such a short time. Another feature that needs to be discussed in the Fitbit charge 3 review is the guided breathing session. This feature helps you keep your body calm, which is necessary for fitness enthusiasts. This feature works by measuring your heart rate. Anxiety and stress is the root of many problems and has a strong impact on the well being of a person. If you want to stay healthy and reach your goal, you need to calm your body down and get rid of stress and anxiety. The guided breathing sessions featured in charge 3 do the same. Not every fitness tracker on the market has this feature. Fitbit charge 3 keeps a tab on your sleep and how much time you spent on light, awake, REM, and deep sleep. Charge 3 does it works even when you are asleep and keep tracking the sleep to provide an insight as well as bedtime reminders. It improves the quality of your sleep, but you need to keep wearing it when you are sleeping to track the sleep stages. As we have discussed above, it is lightweight and comfortable, hence, you can easily wear it in the nighttime. The next in this Fitbit charge 3 review is the goal-based exercise modes. It is a feature not available in many heart rate trackers. It gives you the liberty to select from 15+ exercise modes like circuit training, yoga, swim, bike, run, and many more. Charge 3 also allows you to set a goal and provide real-time stats during exercise to track how can you get better and reach your goal. Among many great features, a reminder to move is also an outstanding feature of charge 3. As its name suggests, it is a reminder that keeps reminding you to take 250 steps each hour. The option to change the setting is completely up to you as it is adjustable and you can adjust it according to your schedule. You can also switch the ‘reminder to move’ to ‘do not disturb’ mode if you really do not want it to keep reminding you. The battery life of a fitness tracker should last longer as you have to wear it all day and use its features. If the battery life is not good, then you will not be able to wear it all the time. Fitbit charge 3 has a battery life of 7 days, which means you can use the watch for seven days with a single charge. But the battery life of charge 3 also varies with the use and some other factors. All in all, it has a good battery life as compared to other fitness trackers on the market. And the products that have the battery life as good as charge 3 do not have as many features as charge 3 have. Charge 3 provides notifications from all the third party apps. It also provides all Smartphone app notifications on your wrist. You can connect your charge 3 heart rate tracker with your phone GPS (it features connected GPS), which help you see the distance and pace on the screen during outdoor activities like rides and runs. You can have the Fitbit health and fitness app. This app syncs automatically and wirelessly to 200+ windows, android, and iPhone devices. Moreover, Fitbit charge 3 has the ability to receive Smartphone notification and reject and accept calls. It also allows the users to reply to their text messages. Moreover, it shows the app notifications downloaded on your Smartphone. In the Fitbit Charge 3 review, we discussed all the features it has in store. Although charge 3 is a newly launched heart rate tracker, it gained popularity because of outstanding features. If you are fitness enthusiasts who are looking for a touchscreen and a smart looking tracker with all the advanced features, then Fitbit charge 3 is perfect for you. In the Fitbit charge 3 review, we also discussed the specifications to provide more information to the users who are willing to buy it. I hope this Fitbit Charge 3 review will help you!